Welcome to Annecy! The entire team is pleased to welcome you and help you discover the old city and our beautiful lake. We are here to ensure that you have a wonderful stay! 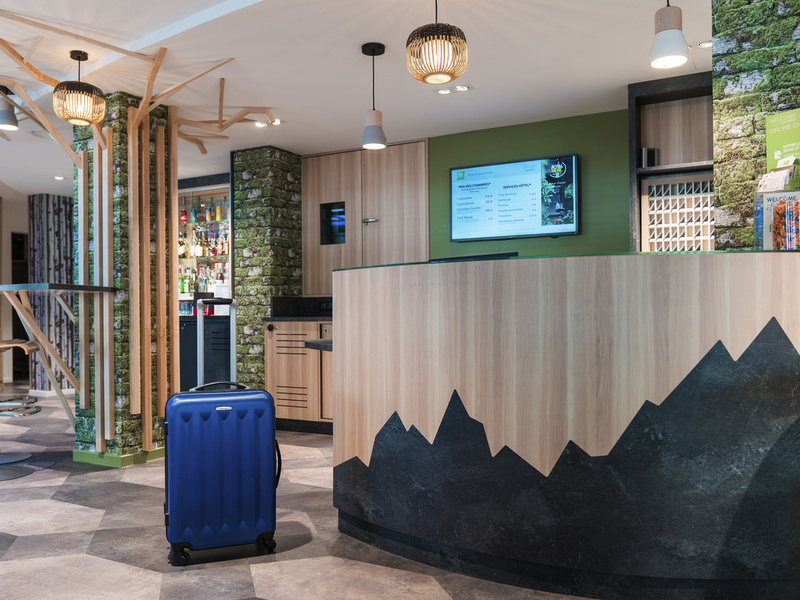 Breakfast and unlimited WIFI included in all rates at the ibis Styles Annecy Gare Centre. Our stylish hotel is fully air conditioned and non-smoking. It is situated in peaceful surroundings, right in the city center, a 10-minute walk from the train station and the old town. Lake Annecy is just a short walk from the old town via the promenade along the Thiou canal. A car park is also available (charges apply, limited spaces, reservation advised). A quiet hotel just a 10-minute walk from the old town along the Thiou canal. Rooms available with balcony on request. A 10-minute walk from the Gare d'Annecy Centre train station. Contemporary and comfortable licensed bar serving all types of drinks and reserved for hotel guests. Snacks are available.